Human progress is neither automatic nor inevitable… Every step toward the goal of justice requires sacrifice, suffering, and struggle; the tireless exertions and passionate concern of dedicated individuals. – Dr. Martin Luther King Jr.
Forty-Five years ago today, Dr. Martin Luther King Jr. was killed by an assassin’s bullet as he stood on the balcony of the Lorraine Motel in Memphis. King came to Memphis in support of a sanitation strike brought on by low wages and horrific working conditions that led to the deaths of two workers. By 1968 the United States had passed the Civil Rights Act, the Voting Rights Act, and a package of reforms dubbed Great Society which sought to eliminate economic and racial injustice. Despite the passage of these reforms, there were still many roadblocks to African-Americans in particular and the poor generally, receiving equitable treatment and access to opportunities that would help them overcome their circumstances. In the final days of King’s life, he worked to organize a Poor People’s Campaign in search of economic justice not only for African-Americans, but for all of our nation’s poor. The struggle of the Civil Rights Movement, which was born of a desire for equal rights, came to include the ideas of economic justice. It is a struggle that continues to this day, not only in Memphis, but around the country and impacts all of us. Over the past forty years we’ve seen the fruits of King’s leadership come under consistent attack. Sometimes in ways that are hard to recognize. The list of incremental changes over time is too long to even attempt to compile in one place, but laws that seek to limit people’s ability to exercise their rights, like the Voter ID bill, and efforts to hamper people’s ability to seek justice, like the Tennessee Civil Justice Act of 2011, which limits a company’s financial liability, have become the norm rather than the exception. Yesterday I wrote about the value of work and how the notion of work has been turned on its head in recent decades. I wrote about a bill before the state legislature that would make it harder for people hurt in the actions of their work to be taken care of. This kind of injustice is exactly what Dr. King fought against in his later years. In the years since his death, the concerted effort of one group to limit the access to justice has become commonplace both here in Tennessee and across the nation. Over the past forty years, there has been an organized assault on the ideas of economic and social justice. This effort has taken many shapes, and been played out in many venues…from school boards to legislatures at the state and federal level, as well as everything in between. It is well funded, and organized for a single purpose: to further tilt the playing field in support of those who have plenty and seek to accumulate more, in opposition to those of us who are seeking to simply make a life for our families. Newscoma wrote about one such group, ALEC an organization that crafts model bills that are personalized for each state. As she notes in her post, we’ve had several of them. These bills, which have been labeled “conscientious reform” by supporters, seek to make holding people accountable more difficult, especially when they have more resources. They represent an attack on economic justice for people who have few resources to fight for themselves. By and large, there have been few organized attempts to bring light to the impact these bills would have on regular people. The struggle has been fragmented while the attack has been organized. The end result has been a steady erosion of justice by limiting access and stifling accountability. The cause of true education, as King describes it, has been under attack by forces seeking to cripple public education for the past two decades. An increased focus on testing has led to curriculum focused on teaching to the test rather than critical thinking and problem solving skills that empower people regardless of their chosen profession or trade. While the effort began before the passage of No Child Left Behind, this bill had a devastating effect on education by forcing educators to focus on rote memory rather than broader ideas of personal development. The philosophical foundation of the act ultimately makes learners “consumers of education” rather than active participants. True education can no be based on a passive “consumerist” model. Students must be active participants engaging in a dialogue to truly gain the “intelligence plus character” that Dr. King mentions. This notion of consumerism is furthered in legislative efforts that have followed. The concept of “school choice”, either through transfers, charter schools, or voucher programs, resonate with parents seeking to give their children the best opportunity to gain a quality education. This idea is based on this same consumer model predicated on personal resource availability, time, transportation, and money, that, by default, exclude those who lack resources. In Tennessee, bills seeking to hobble teachers unions, state nullification of local charter school decisions, school voucher programs, and stiff economic penalties for the poor who do not meet state educational standards, AKA “Starve the Poor” bills have made, and are making their way through the state legislature. These initiatives seek at once to reduce investment in education, place public dollars in the hands of private entities that are largely unaccountable in the public sphere, and most importantly, distract from the economic circumstances brought on by decades of economically unjust fiscal policy in the service of wealth concentration for the mighty few rather than opportunity for the common good. This is similar to Dr. King’s opposition to the Vietnam War, which sucked resources away from domestic programs, and led to a global financial showdown that paved the way for the trickle down economics that would dominate the 1980’s and begin a trend of wage stagnation that continues to this day. Dr. King’s work is most closely associated with social justice and racial equality, particularly through his I Have a Dream speech. But his legacy cannot be defined by that one awe inspiring event. Dr. King’s vision went beyond the struggles of his day, and is owed the consideration of his later efforts, including those that led to his life being cut tragically short here in Memphis. His later work focused on the broad ideas of justice and were targeted at helping the economically disadvantaged. I think it was and still is difficult for people to understand the potential outcomes of this effort. While focused in the south and primarily on African-Americans continuing their struggle for equality, his work didn’t just apply to one race, but to all who fell under the grip of poverty. I feel confident that over time this effort would have expanded to poor white coal miners in West Virginia, and migrant workers in California. 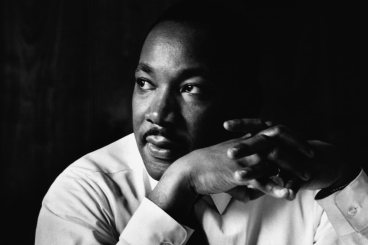 We never got to see what would come of Dr. King’s leadership on economic justice. His life and work was cut short. We can continue to take cues from his leadership, and push on, continuing the struggle, through out tireless exertions and passionate concern, dedicated to the service of justice. In fact, we have a duty to that very thing. vibinc » Blog Archive » Every step toward the goal of justice requires sacrifice… http://t.co/8Uh4ieJGWi via @vibinc Thanks for the shout! Seleena Gaither liked this on Facebook.